Everyone has heard about that amazing juice that comes from one of the best nuts out there, right?! It’s that big and fuzzy one with the white juice inside, you usually find the best ones on a hot sunny day on a beach in Hawaii..
For centuries the coconut tree has been called “the tree of life.” Basically every single part of the nut can be used. Anyways, these amazing things can be made into coconut oil which tends to be one of the safest and most natural way to take care of over 100 different things!! 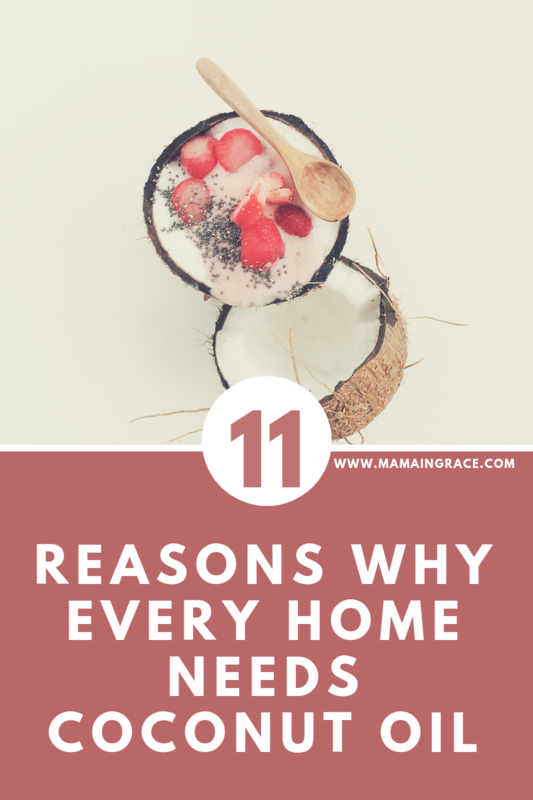 I now present to you 12 reasons why my family HAS to have coconut oil in our homes, at all times and why you should too! Yes this stuff can taste amazing as a replacement for many sweet things when cooking! (I can share more later), and at the same time can provide tons of benefits to your stomach, digestion, intestines, and even your skin!! Coconut oil is also the number one source of Lauric Acid, just after breastmilk! I know this is probably one of the main reasons why Beaty gurus use coconut oil, but seriously!! My hair has never been so soft before! When my hair is feeling dull, dry, and frizzy: All I do is cover my entire head from roots to ends with coconut oil, throw it up in a clip and keep it on for atleast 30 minutes but no limit to time. (sometimes I cover my pillow with a towel or two, and just sleep in it). Wash it out and style as usual, you are good to go! This is something I’m sure most of us sandals wearers deal with, dry and callused heels!! I wear sandals year round so this is always a struggle for me! All I do is lather my feet up in coconut oil and put socks and slippers on. I usually leave them on overnight or if it’s too hot to sleep with socks, I will find something to do to kill time and let all the amazing ness soak in! As I mentioned above, this is an extremely healthy way to replace butter if you are trying to watch your fat intake. We are all about butter in this house, so that’s never really an issue, but when cooking and baking certain meals for other people this can be a necessity and a very tasty replacement! Us girls can all relate on the annoyance of frizz. I know I’m not the only one that gets that super awkward looking wanna be fro when a little humidity breaks out. Coconut oil is seriously my go to. You don’t need very much, at all.. just enough to coat your hands, rub them together and diapers through the ends of your hair at first and work from underneath your hair, not from on top. For me, it works like a charm! Dead skin.. yucky! But unfortunately we all have it.. and we should all be exfoliating atleast once a week to help our skin rid of all the dead stuff. Makes sense right?? But body scrubs can be spendy and full of chemicals you say! Well, you can make your own super easily! All I do is mix some sugar with coconut oil, and scrub away! My skin thanks me, and yours will too! This sorta kinda, but not really goes along the lines with moisturizer. I struggle with psoriasis so bad on my hairline, and i refuse to take medication for it. Coconut oil and my one drop wonder, have changed the game for me! If you haven’t heard of the term “carrier oil” before, you may not be too familiar with essential oils. Coconut oil is my go to for applying essential oils to mine and my kids feet! I don’t see the need to purchase fractionated coconut oil when I can get all of the benefits with nothing extracted using just my coconut oil from home. Ok, this is by far the best use for coconut oil in my own humbled opinion. Seriously ladies, if you want thicker and longer lashes start applying coconut oil to your eyelashes every night before bed using your fingertips. Give it a month, and I bet you notice a major difference! These are my main uses for coconut oil in my home! I know it’s a lot, but that’s why I’m saying every home needs a container of it! It really is highly beneficial to your life in many aspects. What’s your favorite use for coconut oil? I swear coconut oil can do just about anything! Definitely need to get some of this then! Thanks for all the ideas.